This app was designed for and by Kundalini Yoga teachers to makeKriya and Meditation practice easier. It has some great featuresfor the practice of Kundalini Yoga:- Hands free timer ending so youdon't have to come out of the Kriya or move your hands to stop thetimer- Choose to have timer sound 1, 2 or 3 times- Zen timersounds: Bells, Gongs, Block, and Beep- Silent option for teachers(doesn't interrupt music playing)- Choose vibration option inaddition to or instead of sounds- Sat Nam printed in GurmukhiThewhite design is also perfect for the Kundalini environment. Yoga Mudra is another non-medical mode to treatment which helpswithout harming. Mudras are various postures of fingers and thumbs.By practicing mudras and mudra yoga, different diseases are treatedby holding and retaining the fingers and thumbs in differentways.MUDRAS FOR HEALING AND FEELING AMAZINGThis is simple measuresurprisingly restores a state of balance in the body and raises thelevel of the performer's resistance with the patient's immunitythus strengthened, the disease has no other option but to flee. Nomatter if you are searching mudras for healing or mudras forhealth, this app is the answer!Yoga + Mudra = Healthy Life.TheseMudras can be practiced while doing yoga asana. You can find theterm yoga mudrasana as well. HISTORY, MEDITATING AND MUDRASThe mostwell-known mudras are probably the ones performed while meditatingi.e the meditation mudras. Mudras have been in use in the East forthousands of years, particularly in Buddhism and Hinduism for mudrahealing. Buddha statues often have the hands in certain handpositions. They have been used as a spiritual practice (and stillare), as a way on the path to enlightenment.HOW TO USE MUDRA HANDOR MUDRAS YOGA IN YOUR HANDSTo use a mudra, keep it for at least acouple of minutes. It is usually more effective to do them a whilelonger, like 15 minutes or so. You might spread that time over theday, but you could also make it part of meditation. To perform thefinger mudras, hold the finger positions with both hands, at thesame time. This will have a more powerful effect than doing a mudrawith just one hand.SIMPLE AND EFFECTIVESome mudras are simpleenough so that you can even do them with your hands in your busyschedule. You can do these anywhere when you feel you need them,without attracting attention. However, they're also used forphysical ailments. Many ailments have been covered in this app.Note that this app includes mudras for chakras, healing mudras,mudra for weight loss all with the purpose to help our users tofeel fantastic and to feelperfect! ****************************************This is totally aFREE version. Please rate and share it with your friends. Moreover,you can add your Favorite mudra in a Favorite section.Thanks :)Wish all of you a healthy life. This morning meditation mantra app brings peace and relaxation toyour mind with it's smooth collection of calming mantra music. Thismeditaion mantra app helps your mind to relax with beautifullyconsistently rendered Sanskrit mantras. This will also helpBeginners into meditation and can benefited from this peace musicapp. This meditation music app helps you perform daily practice ofmorning Meditation with timer in offline mode for relaxation andYoga. This helps you perform daily chakra meditation. This freebest meditation and relaxation app has all features you are lookingforward to. It has various background sounds like rain and andothers which can also help you sleep. Practicing on this app willmake you say one day "omg i can meditate". We have taken utmostcare in pronunciation and use of these ancient Mantras. These aretime tested Vedic Mantras. These Om Mantras will certainly bring inpeace and help you Meditate with relaxed mind and body to lift yoursoul. FEATURES ✓ 24+ meditation Mantras ✓ Morning Mantra YogaPractice ✓ Custom sort Functions ✓ Configure as per your need(counts, bell, pause etc.) 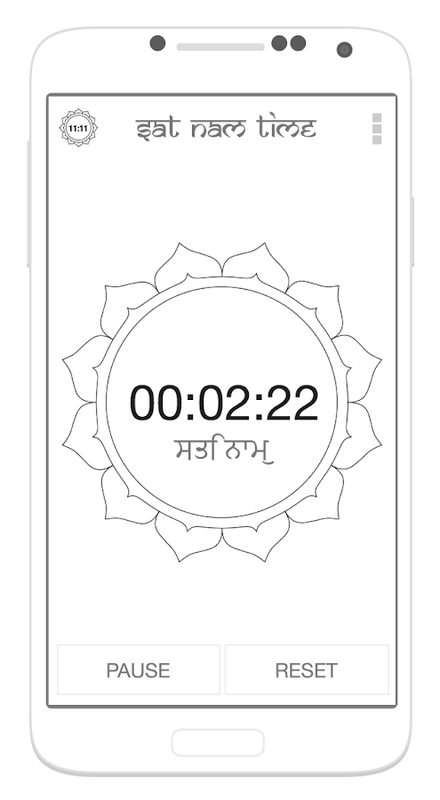 ✓ Written lyrics of all Mantras areprovided ✓ Select numbers of times you want to repeat Mantras ✓Handy reporting features to track and analyses your meditation ✓Capable of playing audio in the background ✓ Pauses chant onreceiving phone calls ✓ Hindu, Buddhist, Sikh and Jain mantrasincluded ✓ Mantra track, image, theme etc. can be changed ✓ Canplay with screen off and does not drain battery What is Om mantra?Om (AUM) is the most divine eternal sound which we hear when we gointo deep state of Meditation. It is regarded as the eternal soundwhich is there in the universe all the time. This App is useful forboth the beginners of Meditation and who are in advanced stage.This tool will also help you perform Meditation like Zen,Mindfulness or Chakra Meditation. Use this app if you are havingtrouble sleeping. This app will helps you in sleep therapy. Thisapp provides most famous Hindu God mantras at one place. This appcan be used as morning mantras and for meditation purposes also.Following mantras have been implemented in the music app: ✓ ShreeGanesh Mantra - Om Gan Ganpataye Namo Namah ✓ Gayatri Mantra - OmBhur Bhuva Swaha ✓ Mahamrityunjay Mantra - Om Tryambakam Yajamahe ✓Waheguru - Ik Onkar Satnam ✓ Navkar Mantra - Om Namo Ari Hantanam ✓Hanuman Mantra - Om Namo Hanumate Bahy Bhanjnaay ✓ Guru Mantra -Gurur Brahma Gurur Vishnu, Gurur Devo Mahesh Varah ✓ Shani Mantra -✓ Vishnu Mantra - ✓ Shri Krishna Mantra - ✓ Swaminarayan Mantra - ✓Shree Ganesh Mantra - ✓ Devi Sooktam - Ya Devi Sarva Bhuteshu ✓Saraswati Mantra - ✓ Shiv Mantra - Om Namah Shivaay There are somany meditation benefits. Such as: ★ Meditation practices decreasesdepression ★ It's reduces stress and anxiety in general and reducessymptoms of panic disorder ★ Increases concentration ★ It helps youimprove your focus, attention and reduces stress and distractions ★Improves decision-making ability ★ Provides mental strength,resilience makes you stronger against pain ★ Improves learning,memory, self-awareness and rapid memory recall ★ Prevents youmultitasking too often ★ Increases awareness of your unconsciousmind ★ Meditation fosters creativity ★ Meditation reduces risk ofheart diseases, blood pressure and stroke ★ Meditation decreasesfeelings of loneliness ★ Improved self-awareness, academicperformance, work motivation Happy Meditating! Enjoy the relaxed and melodious meditating ambiance with MeditationMelodies & Sounds. Be it Yoga or while going to sleep or havingsome relaxation, the app has a huge collection of melodic andrelaxing sounds. These sounds will relax your mind and body whichwill generate positive vibes within you. Listen to the relaxingsounds, melodious music and create a perfect ambiance. Experiencethe soothing sounds and nature sounds to relax both your mind andsoul. Choose the best sound from the huge collection of relaxingsounds well categorized among various sections making it easy foryou to choose your favorite sound in just few seconds.All theMeditation ,Yoga , sleep sounds,brain waves in one app.You don'tneed to search and download too many apps for each sounds now andthis one app has everything you need.App has largest collection ofrelaxing sounds for Android with Over 30 sounds (free and HD)mixable in order to reach a state of complete relaxation,sleeping,meditation, Yoga, concentration and reduce stress with HDimagesDownload the app and enjoy your day relaxing and tensionfree. The app has sounds for different categories like MelodiousNature Sounds, Meditation Music, Relaxing Spa Sounds, Fun filledrain sounds and a lot more. The app is the best app to start yourday with and end your day with. You will find each day relaxingafter you get the app on your phone. Listen these melodious andrelaxing sounds anywhere you go and anytime you feel like.Listening to the melodious and relaxing sounds not only generatespositive vibes, but also keeps you relaxed and increases yourconcentration power. The app ensures your general well being andreduces the stress level to a vast extent. Playing the relaxingmusic while sleeping is the best for a sound sleep and to treatinsomnia therapy. Get the app now and find your inner peace!Appcontains below sound categories:Relax Meditation musicRelax RainsoundsRelax Nature soundsRelax Spa musicRelax Night Brain waves -Binaural Beats************************SAYHELLO************************We are constantly working hard onmaking the “Meditation Melodies & Sounds” app better and moreuseful for you. We need your constant support to get going. Pleasefeel free to email us for any queries/suggestions/problems or ifyou just want to say hello. We would love to hear from you. If youhave enjoyed any feature of the “Meditation Melodies & Sounds”app, do not forget to rate us on play store.